Actions in solidarity with the hunger strike resistance in Vienna and Wuppertal. ICOR representative said that they support the hunger strike undertaken in Turkey and Kurdistan as it is their duty to show solidarity with the Kurdish activists. 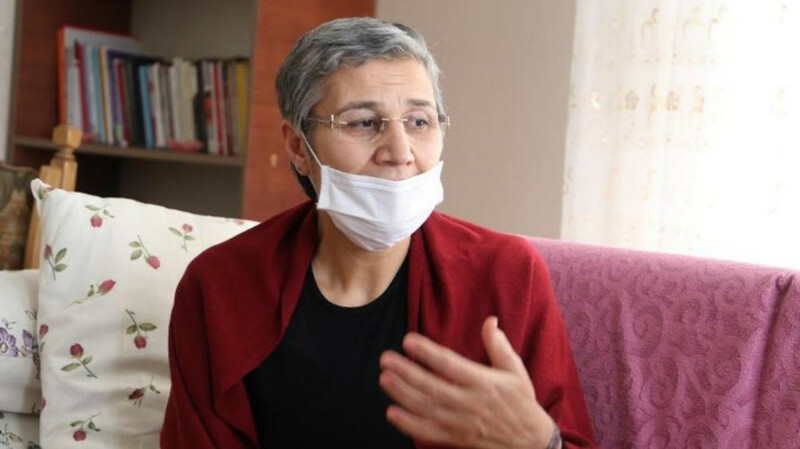 Kurdish politician Leyla Güven has been on an indefinite hunger strike since November, 2018.
International solidarity with the Kurdish hunger strike protest continues to grow. 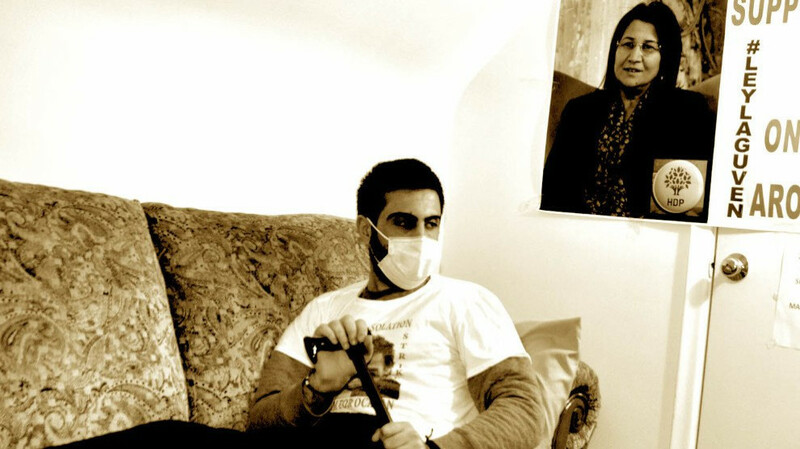 Health of the hunger strike activists is deteriorating. Ahmet Surme, one of the prisoners in Tekirdag who have been on a hunger strike for 114 days, said they are determined and asked for public attention. Surme said their health is at a critical stage. Aydemir called on European countries to support the activists in hunger strike resistance. While the hunger strikers said they would not accept any treatment, the Dutch doctor said he respected the will of the activists. The sit-in demanding an end to the isolation continues in front of the EP on day 4. The sit-in activists in front of the EP protesting the isolation imposed upon Kurdish People’s Leader Abdullah Ocalan called on everybody to raise the resistance. The second volume of Democratic Civilization Manifesto which has recently been translated into German is being promoted in Switzerland. Kurds continue the hunger strike in the central Odenplan Square. They pass out flyers and give speeches throughout the day to inform the public. Lorenzo Orsetti (Tekoşer Piling), the Italian internationalist fighter who was martyred in the war against ISIS, was commemorated at the Sapienza University in Rome. Already 115 former guerrillas and family members have been killed since the signing of the Final Peace Agreement in 24 November 2016. ACTIT and SBP members in Paris organised actions near the French Parliament. Action in solidarity with the hunger strike resistance were held in Germany, Switzerland and France. An action was taken in Nytorv, one of the busy squares of Copenhagen to inform the people about the hunger strikes and the health situation of the hunger strikers. 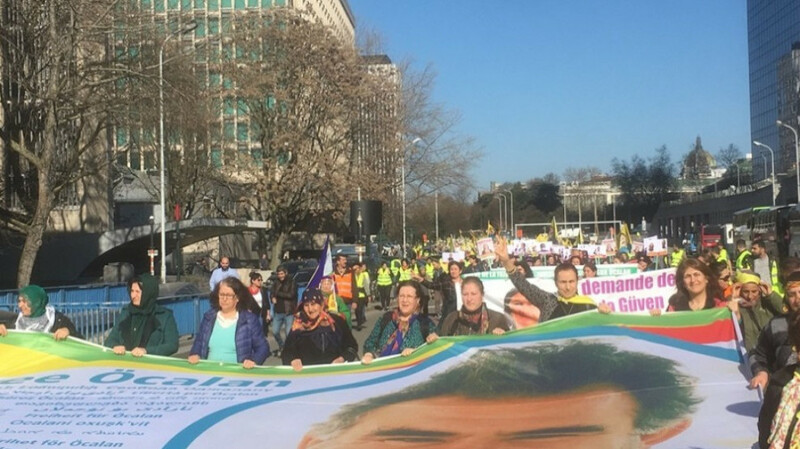 Kurds and their friends protested the isolation against Abdullah Öcalan in front of the British Parliament in London and in front of the European Parliament in Brussels. The trial of 7 Kurdish politicians started in Stuttgart, Germany. Two members of the European Parliament visited the indefinite non-alternating hunger strikers in Strasbourg. Iranian Foreign Minister Javad Zarif met with Turkish President Recep Tayyip Erdogan in Ankara following his 2-day visit to Syria. Switzerland’s Foreign Ministry announced that they are “closely monitoring” the hunger strikes protesting the isolation imposed upon Kurdish People’s Leader Abdullah Ocalan. The sit-in in front of European Union institutions in Strasbourg protesting the aggravated isolation imposed upon Kurdish People’s Leader Abdullah Ocalan continues on week 4.